How Can I Get Notified When Someone Takes My Quiz? 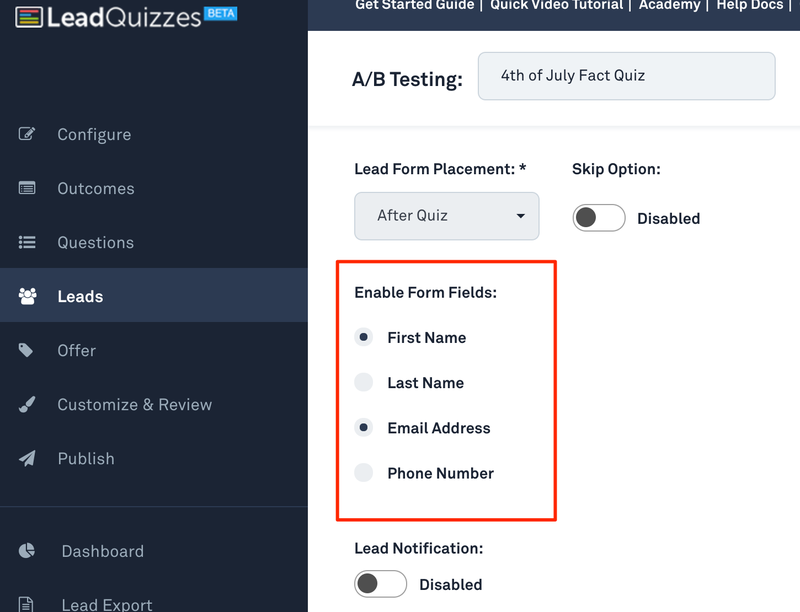 First either edit an existing quiz or create a new quiz in LeadQuizzes. Once you get to the "Leads" section of the quiz builder. 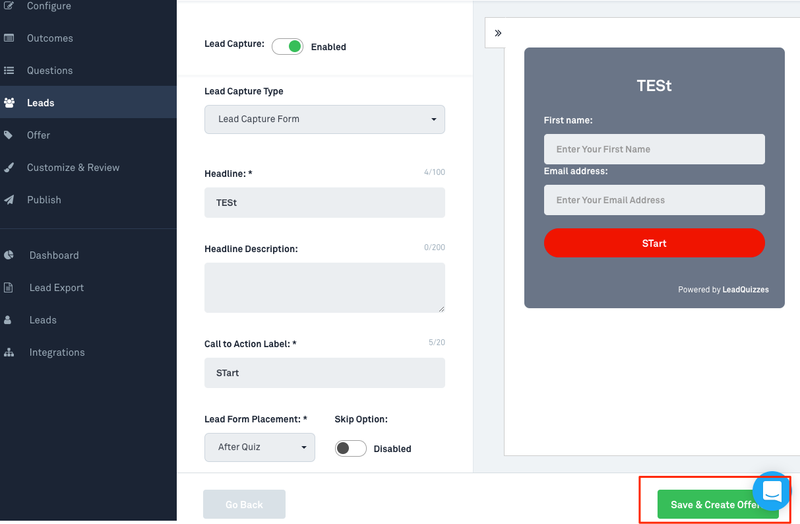 Click the "Lead Capture" toggle to say "Enabled" as shown below. 4. 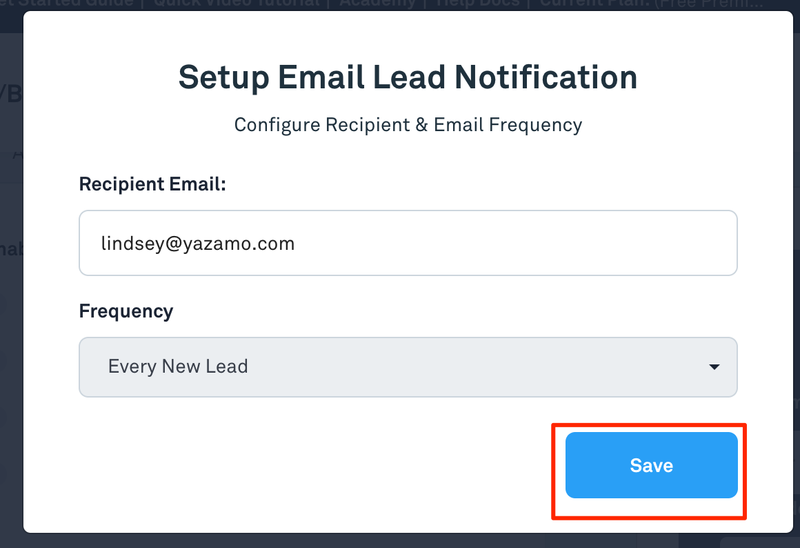 Once you have "Email Address" selected as shown above toggle the "Lead Notification" toggle to show "Enabled" as shown below. 5. When this is done you will be prompted to enter the email address you would like to receive the notification and the frequency you would like to receive the notification. 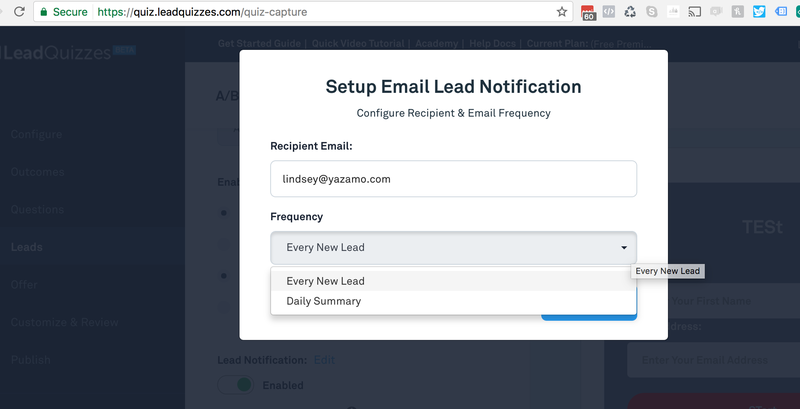 You can either choose to get a notification whenever a new lead comes through, or only once a day. If you chose the "Daily Summary" option you will receive an email notification with the previous days leads each day at 6am at the timezone you selected. 6. When you have your option selected click "Save"
7. Click "Save & Create Offer".